It is one of the nation's most widely-held stocks. The bank is even backed by America's most beloved investor, Warren Buffett. The legendary billionaire owns $100 million of Wells Fargo (WFC) stock in his personal account, according to FactSet. His firm Berkshire Hathaway (BRKA) is the bank's biggest shareholder, holding nearly 10% of the stock. It's ironic, given the shocking revelations, that the key driver for Buffett's investment in Wells Fargo is the bank's reputation for not being one of Wall Street's bad guys. 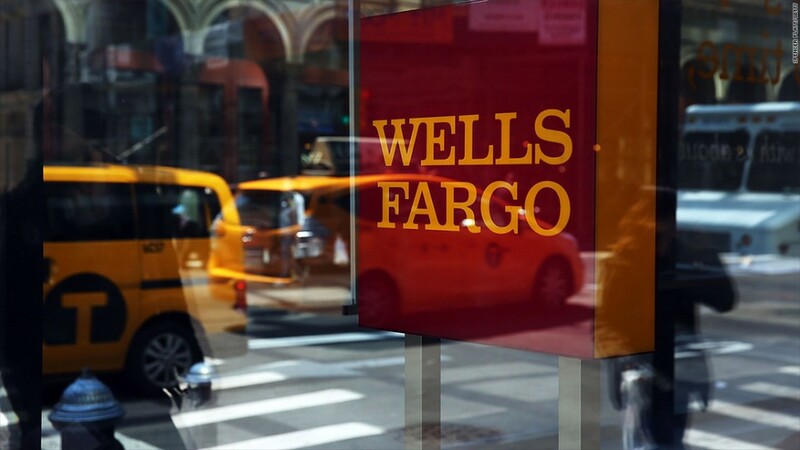 "Wells Fargo behaves better than the average big bank. But nobody's perfect," Charlie Munger, Berkshire's vice chairman and Buffett's right-hand man, told CNNMoney last year. Buffett has himself weighed in, saying, according to the Motley Fool, "What Wells Fargo didn't do is what defines their greatness." Berkshire first bought Wells Fargo stock in 1989, and has since added more. Today, Wells Fargo is worth $250 billion -- the most valuable bank in the U.S. by market value. To put that in context, Bank of America (BAC) is valued at $160 billion and JPMorgan Chase (JPM) is worth $243 billion. Many everyday Americans own shares of Wells Fargo in their retirement accounts. Popular mutual fund managers such as Vanguard, BlackRock (BLK) and Fidelity are the bank's top investors, after Berkshire. And due to Wells Fargo's size, the bank is a staple of most bank ETFs, the popular form of investing in a basket of stocks. --CNNMoney's Paul R. La Monica and David Goldman contributed to this report.